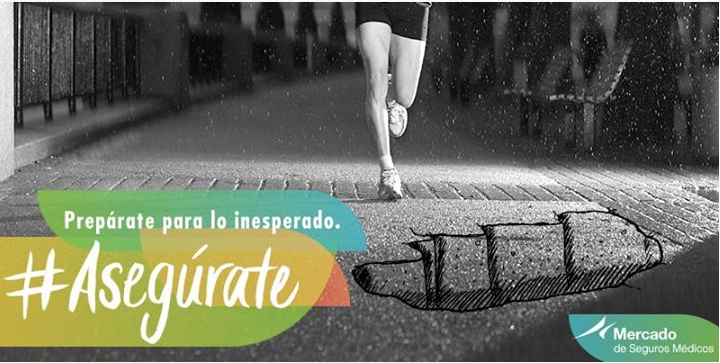 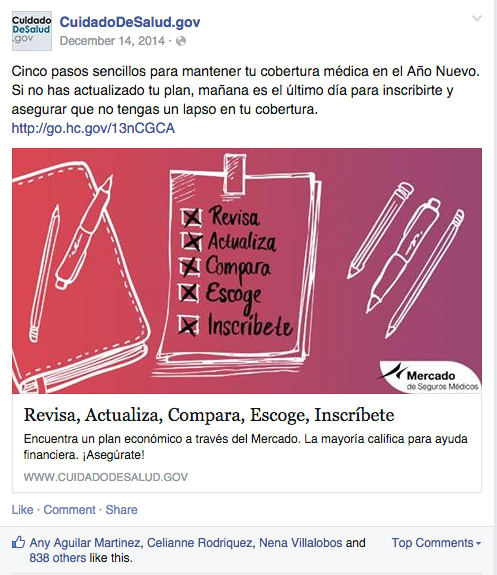 In 2013, Elevation helped launch the “Cubiertos” campaign on behalf of the Centers for Medicare & Medicaid Services (CMS). 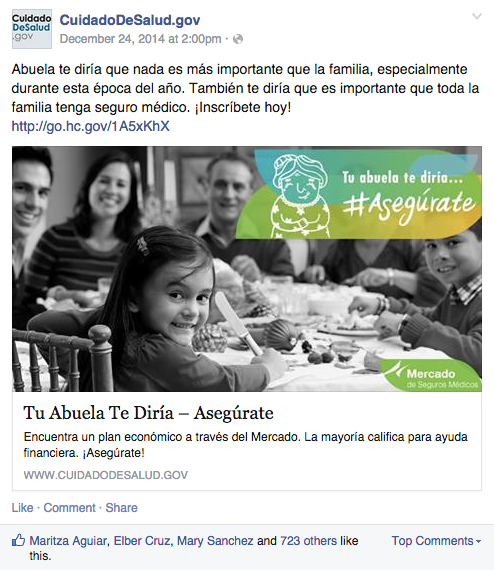 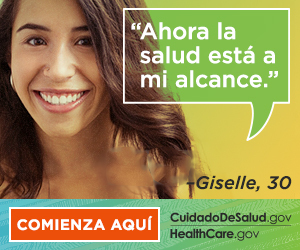 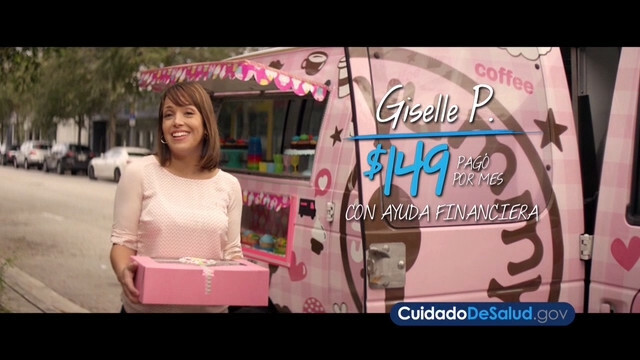 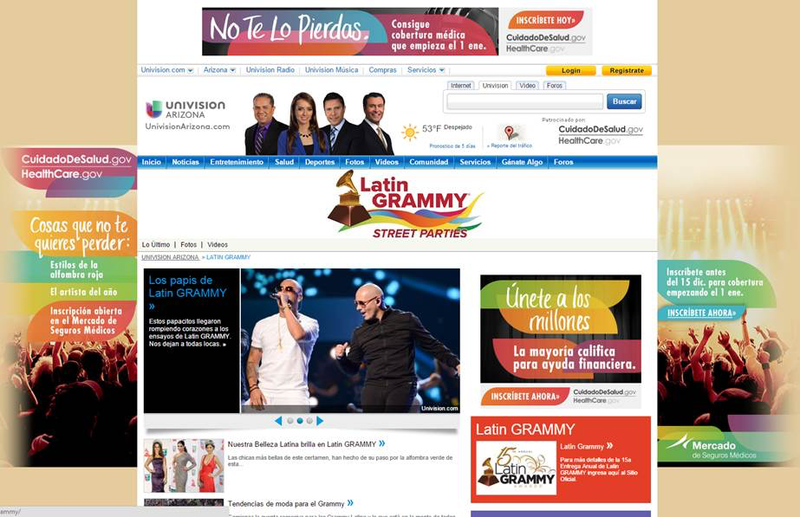 Its goal was to generate awareness about the Affordable Care Act’s Spanish language Marketplace, Mercado de Seguros Médicos (www.cuidadodesalud.gov). 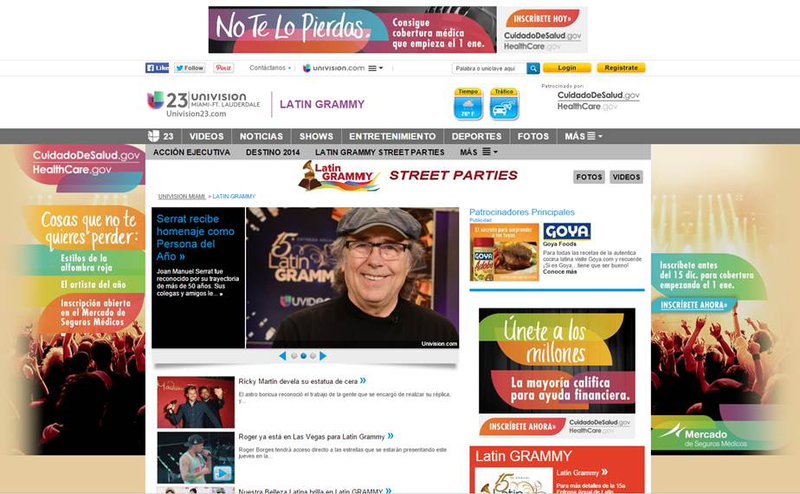 The campaign’s success hinged on several critical elements: a targeted campaign strategy to reach an elusive audience; compelling creative concepts that were persuasive, personal and adaptive in nature; a media strategy that could expand through events and added-value placement; and an experienced team that was flexible, inspired and able to switch directions for the good of the campaign. 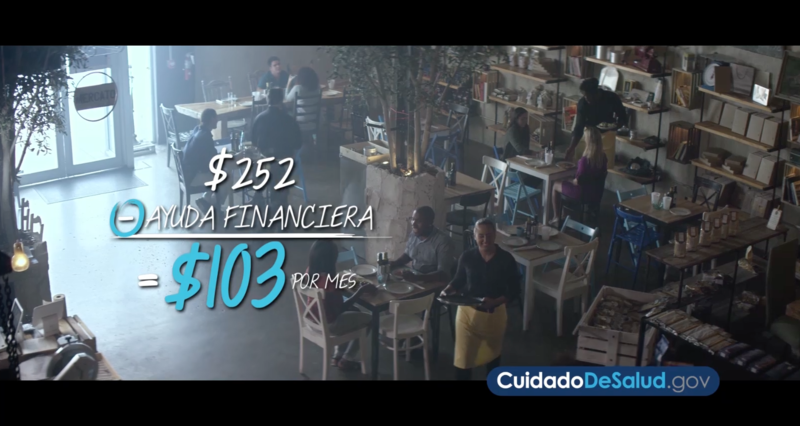 This multi-channel, strategic creative campaign delivered nearly 53.5 million media impressions, a 21 percent digital conversion rate, and a reach of more than 4 million via earned media and events.